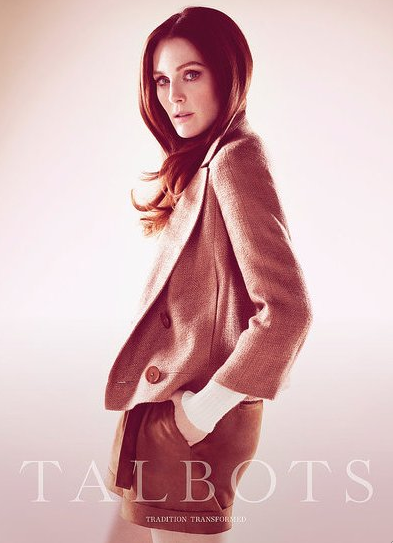 Thank you Stephanie for finding these lovely shots of talented Julianne Moore in the Talbots Spring- Summer Campaign. There are lots of flowers in this year's spring line up and I love it! 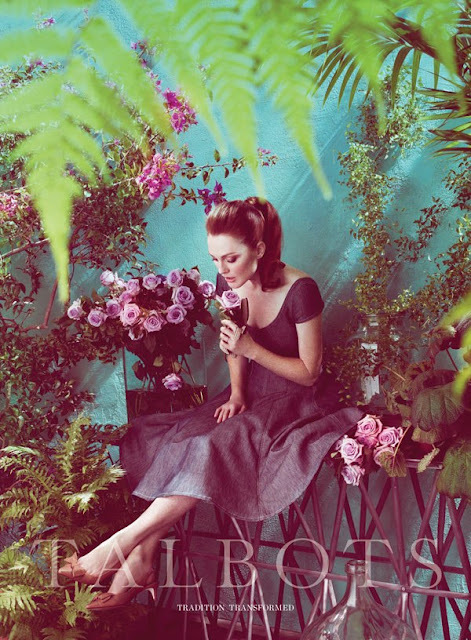 This campaign is so gorgeous - I love the tropical inspired patio garden juxtaposed with the clean lines of the tailoring in the first shot! talbots is doing everything right to revamp! love this ad campaign. She looks fabulous!! A softer more ethereal look, the designs are superb! !